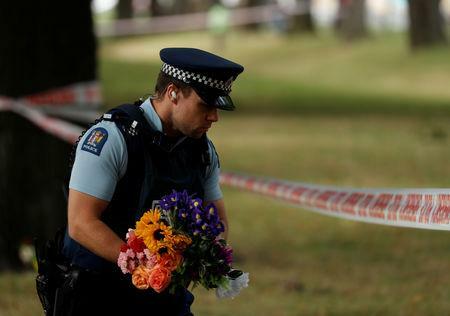 CHRISTCHURCH/WELLINGTON (Reuters) - The death toll in the New Zealand mosque shootings rose to 50 on Sunday after police said they found another body at one of the mosques, while authorities worked to formally identify victims and release their bodies to families. Australian Brenton Harrison Tarrant, 28, a suspected white supremacist, was charged with murder on Saturday. Tarrant was remanded without a plea and is due back in court on April 5 where police said he was likely to face further charges. Bush said the body of the 50th victim was found at the Al Noor mosque, where more than 40 people died after a gunman entered and shot randomly at people with a semi-automatic rifle with high-capacity magazines, before traveling to a second mosque. "As of last night we were able to take all of the victims from both of those scenes. In doing so we were able to locate a further victim," he said. 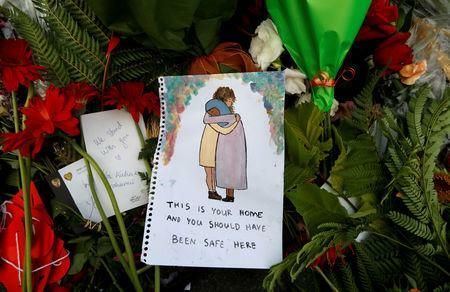 Thirty-six people were still in Christchurch Hospital, with 11 being treated in intensive care, and one child moved to dedicated children's hospital in Auckland. At a roadblock outside the Al Noor mosque on Sunday, about 40 people were standing in silence near scores of bunches of flowers. Police with gloves and metal detectors combed the street and footpath. One man at the second mosque in the suburb of Linwood was hailed for distracting and confronting the shooter, preventing further deaths. 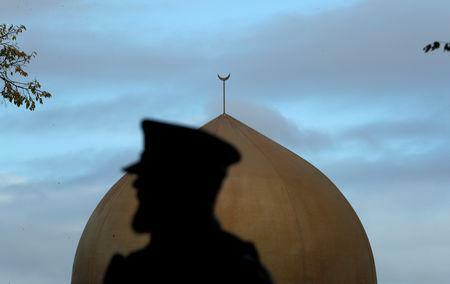 Abdul Aziz, 48, told local media he heard shooting and ran outside the mosque, shouting at the gunman and drawing him away from the building, the Newshub website reported.